Walt D. Roper graduated from Baylor University in 1989 with a Bachelor of Arts degree in History. He attended the Tulane University School of Law, from which he obtained his Juris Doctor degree in 1992. Mr.Roper is admitted to practice before the Texas Supreme Court, and state district and appellate courts. He is also admitted to practice before the Louisiana Supreme Court, and state district and appellate courts. Mr. Roper has also been admitted to practice before the U.S. District Courts for the Eastern, Western and Middle Districts of Louisiana, Eastern District of Texas, as well as the U.S. District Court, District of Arizona. Mr. Roper is former President of the Texas Trial Lawyers Association Board of Advocates, and received an award from the Texas Trial Lawyers Association for his efforts in fighting for victims’ rights in the 1997 Texas Legislative Session. In addition, he has served on the Board of Directors of both the Texas Trial Lawyers Association and the Dallas Trial Lawyers Association. 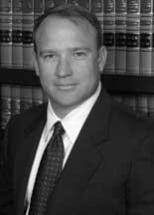 Mr. Roper is a member of the Texas Trial Lawyers Association and the American Association of Justice. Mr. Roper has focused his practice in the area of class action and multi-plaintiff litigation, focusing on consumer rights, healthcare retirement benefits, and other workplace benefits. He has also handled numerous serious personal injury and wrongful death cases, with a heavy concentration in medical malpractice, nursing home, and products liability litigation. In addition, he has also been involved in numerous toxic tort cases. His practice has covered a broad range of issues involving science, the environment, and natural resources, including risk assessment, groundwater contamination, lead poisoning, and environmental aspects of international trade. Mr. Roper has successfully resolved cases involving the Employee Retirement Income Security Act (known also as ERISA), Medicare, healthcare, insurance, regulated industries, and personal injury. Mr. Roper has been appointed lead counsel in several nationwide class actions.